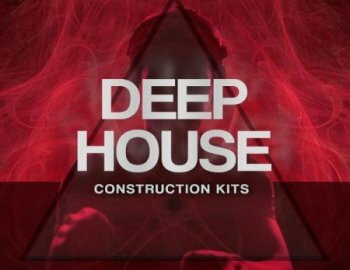 Deep House is a new construction kit library that is perfect for deep house producers and a must-have for anyone producing styles ranging from Techno to Chillout! Constituting a massive 35 brand-new construction kits featuring a wealth of loops and one shot samples in both dry and processed versions the 35 kits contain an expansive range of deep house grooves, funky low-end basses, analog synths. emotive chords, deep house vocals, FX and much more - designed to drop into your tracks instantly. This is deep, melodic, house that is spilling over with clear, pure sounds for the forward thinking producers. The library focuses on usability and integration. Expertly produced and refined in pristine 24bit audio and delivered at tempos ranging from 122bpm to 126bpm this sample collection is well suited to a wide range of genres including Deep House, Progressive House, Funky House, Chicago House, Old School and many more!